The building and construction industry is a barometer for the UK’s economic climate, and is once again at the mercy of economic and political ebbs and flows. All over the UK, businesses are slowing investment, many adopting a ‘wait and see’ strategy for development. Over the last 12 months Britain’s builders have witnessed big commercial infrastructure projects come to an end without being replaced by new projects. However, there is a real need at this point to refurbish and retrofit our existing building stock (particularly non-dwellings). With increasing focus on energy efficiency in legislation such as Minimum Energy Efficiency Standards (MEES), there is an opportunity to improve the performance of our current building stock to the benefit of the construction industry and its clients. What’s more, a retrofit, carried out in conjunction with taking preventative measures with older building systems, can ultimately mean less investment, less operational downtime and less ongoing maintenance issues. FMs can pre-empt potential issues with aging HVAC systems, and meet new standards, by timely retrofitting. Albion’s specialist sales team can help evaluate the system in question to identify potential technical issues that may arise affecting comfort, air quality and water flow issues in any building and recommend the best engineered solutions and products for the job, giving costeffective solutions. For example, to upgrade a water system in a commercial building, it is not always necessary to tear out all the building infrastructure and pipework. Manual valves require a lot of attention, and should ideally be replaced by modern automated valves for better control. It is entirely feasible for a modern, efficient system to be created using existing materials with a few strategic tweaks. This will result in saving money on energy for a fraction of the cost of a new installation, as well as achieving a short payback period via the savings. 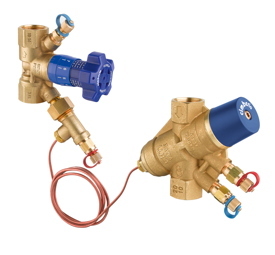 On a hot water system, engineers could consider updating to 2port PICV hydronic balance control, meaning only the water required is delivered to a specific location with no wasted energy. Hence, the 4-port constant volume system could be upgraded quite easily and cost-effectively at each terminal unit to a variable volume system, offering significant savings – even on older installations. Similarly, if the pipework is in good condition on an older HVAC system, then the terminal units such as FCU’s, over door heaters and internal water coils are likely to be in equally good order. However, to boost efficiency and comfort performance, the controls may benefit from improving speed control on the fan - to optimise air flow over the coil which can add years to the system’s service life, without significant disturbance to the business or need for down time. FMs specifying technical products for retrofits, should also consider installing on-off control valves on HVAC systems to help prevent unnecessary heating or cooling of any unoccupied rooms or zones within the building. 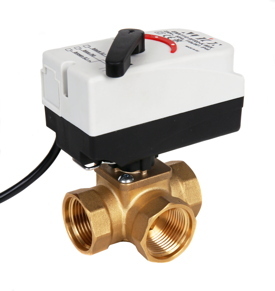 For commercial buildings such as schools, office blocks and retail outlets, waste from leaks and unnecessary heating or cooling can be simply solved by the use of solenoid valve installations. Solenoids are an invaluable and inexpensive preventative measure that can be easily fitted to increase the efficiency credentials of older systems, by preventing dripping taps, non-closures and leaks to save water. In older or dirty systems that often occur in public buildings, simple and regular housekeeping is often the answer and prevention is always better than cure, engineers should check the system has included strainers and non-return valves and ensure that these are fitted correctly and that the mesh is clean. Time and resource wastage can be avoided by thoughtful specification of equipment from the outset. Quite simply, manual valves that require a lot of attention should be replaced with modern automated valves - manual interaction invariably means poor control. Failures such as pumps overheating and seizing may be due to lack of by-pass allowance within existing systems. Checking that these are installed and set-up appropriately may resolve repeat failures which are a costly symptom rather than a cause of system malfunction. Older buildings always come up against compliance issues. Albion has delivered a quick fix to help relieve these problems by prioritising approvals and accreditations across its product portfolio, ensuring that the products they specify are fit for purpose and fall within new legislation. As with anything, the devil is in the detail, but while the opportunity is there, a quick fix or retrofit could be the ideal solution to keep the cogs of industry turning without breaking the bank.